Algae, Mosses, Liverworts, Ferns and Allies. 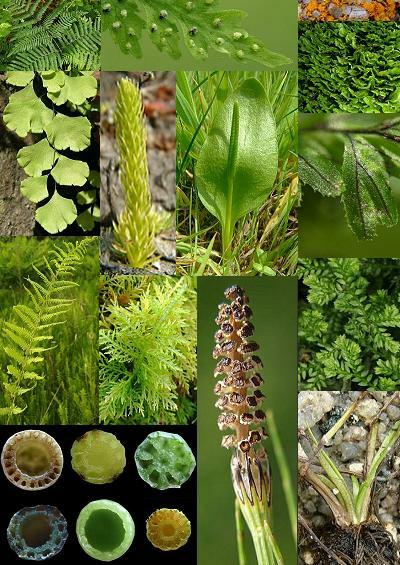 Ancient plants producing spores rather than seeds and very simple often water dependant plant species. Lists of species include aquatic and non-aquatic species. Grasses, Sedges, Rushes and Bulbous Plants. Families of plants with mainly grass like leaves, that arise from a fibrous root system; but may sometimes arise from a bulb, corm or tuber. Group includes grasses, rushes and sedges, most bulbous plant species, including orchids. Annuals, Biennials and Perennials. This is the largest group of plants featured here, and accounts for the majority featured. Most traditional wildflowers with the exception of monocotyledons are covered in this section. Trees and Shrubs. Plants with twigs or trunks or have a woody stem or stem base, and plants that are related to them. Scientifically called Arborescent Flora. Includes Conifers, trees with needle like leaves bearing cones; Heaths and Heathers; Broadleaf, Deciduous and Evergreen Trees and Shrubs; common Palms and some Street Trees and Ornamentals. All plants featured may be considered as being either native, alien, naturalised, garden escape, throw-out, ornamental, commercially grown for food or fodder or relic of cultivation. If you have any difficulty, in viewing the whole page, or in navigating this site please click on the link provided below.